And the only time, for such a curious thing to come apart like this, is the cruelest time. Brothers Peter and David Brewis, along with Kev Dosdale, make up the indie rock trio Field Music. 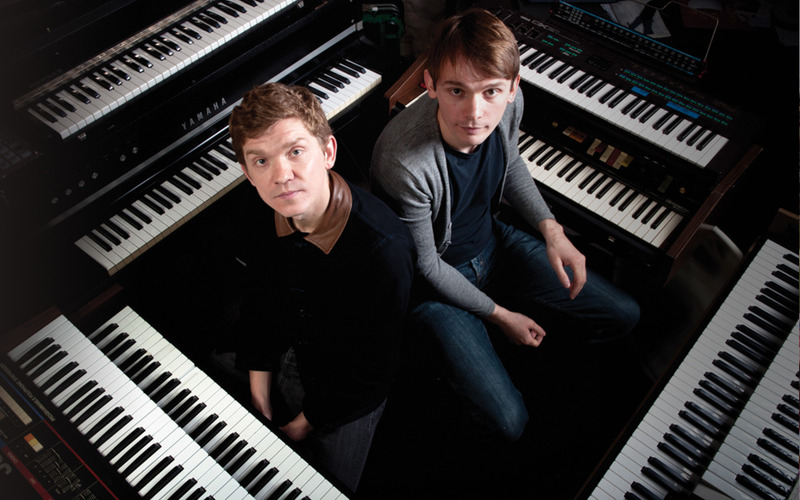 Hailing from Sunderland, England, Field Music has been active since 2004. Their self-titled debut album was released in 2005 on Memphis Industries records. The critically acclaimed album was subsequently followed by Tones of Town in 2007 and Field Music (Measure) in 2010, which both went on to garner their own critical praise. The group’s most recent offering, Plumb, came out in February of this year and explores the elements of post-punk revival which Field Music is known for, and exhibits melodic talent normally associated with angelic choirs or Brian Wilson. Their digital download pack includes a couple bonus tracks as well as tickets to their current tour at certain venues in the UK. In a far away land (for some of us), in a time long ago (before everyone became obsessed with synths and the 80s), crisp, angular guitar rock ruled the hearts and minds of music lovers. It was the U.K. in the early to mid 2000s. From Franz Ferdinand to Bloc Party, every band seemed deeply indebted to Gang of Four and Wire, writing spastic dance-punk that bordered on math rock. Field Music formed in Sunderland, England in 2004, and their sharply angular guitar work was right in line with their contemporaries. However, their brand was softer around the edges, including more orchestration, a bit of funk and a polite pop sensibility. Fast forward eight years to the band's recently released fourth album, Plumb: the sharp-cornered guitars and asymmetrical drums are still here, but they're reaching beyond post-punk to pluck some classic rock influences as well. Take “Guillotine” with its pleasantly off-kilter Syd Barrett-esque intro that explodes into The Who style stadium rock. It's got the big ringing guitars, self-assured vocal hooks and imposing keyboards. “Is This The Picture” is pure fun with its dueling guitars, falsetto vocals, and funky rhythms while at the time same time sticking in a hint of southern rock flair. I'm not entirely sure how that combination works, but it definitely works. “From Hide And Seek To Heartache” adds thick swathes of lovely strings and charming piano to Field Music's tight rock. You wish it was longer than its 2:50, but the added instrumentation is a great foil to the propulsive drumming and ever-interesting vocals. “(I Keep Thinking About) A New Thing” is chock full of hooks as the band adds and subtracts guitar parts in a flurry, helping the track ebb and flow beautifully. Field Music have retained the things that made them so interesting in the first place, and managed to evolve enough to remain relevant.